Aunty Social’s Knittaz With Attitude group has been furiously knitting and crocheting to create a knitted local street scene in the shop window on Central Drive. Members of the knitting group have contributed pieces of knitting which have been combined to create 3D models. A variety of people. Absolute beginners to knitting ninjas. Ages range from 9 years to 88. We’ve also had contributions posted in from other towns across the UK. 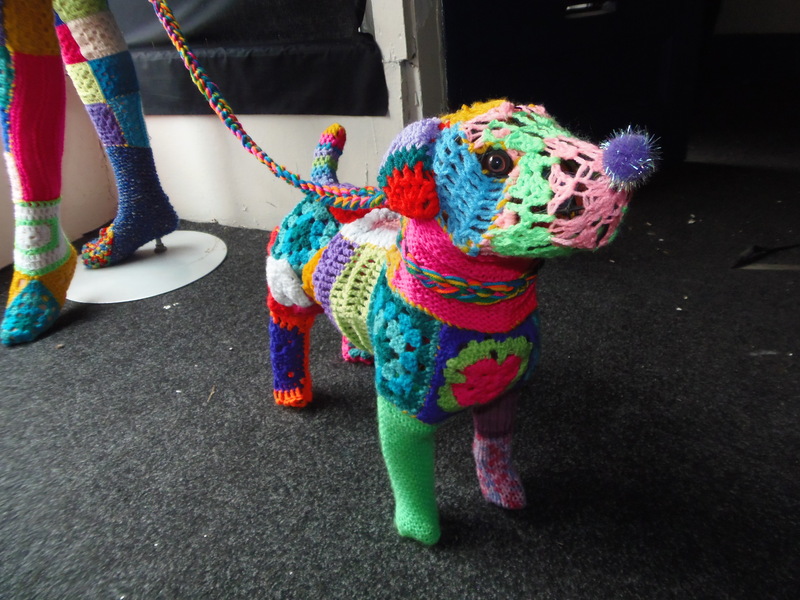 The next stage is to work with local people on a number of yarnbombs (knitted graffiti) located in the streets around the area which will tie in (no pun intended) with the window installation. We will also include objects made by workshop participants in the display. If you want to come and yarnbomb with us, take a look at www.auntysocial.co.uk or www.facebook.com/loveauntysocial for information on dates and times. New knitters/crocheters will also get a free ‘starter kit’ with needles/hooks and wool so that you can continue your new hobby at home. 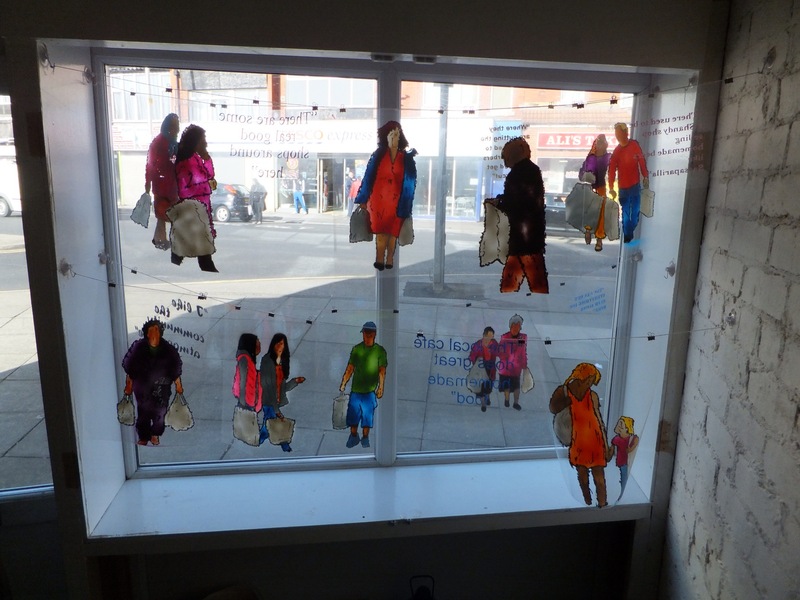 Aunty Social’s installation will be on display until 16 June 2013. Using recycled materials, Boz Phillips and Mr Dee have created animals and pet shop supplies to install into one of the empty shops on Central Drive (previously Mikeys carpets and for many years before, the Charmanta hairdressers). Proprietor Dr Evoe left his job as a nuclear scientist in 1973 and decided to open a pet shop in Blackpool. The story was the inspiration for the children to draw ‘Fantasy Pets’ during a workshop at Ibbison Court Centre and for the children of year four at Revoe Primary School during their art class. A group of home-schooled children from the area also participated. Will the animals have fur, scales or feathers or a mixture of these? Will the animals be big or small? Will they be a mixture of 2 or 3 animals e.g. – a mouse with an elephants head? An alligator with a mouse’s tail? All the animals have been made using the designs/ ideas and images drawn by the local children. The name of the shop was kept a secret until the date of the installation, as we wanted this to be a surprise for the community and the children. 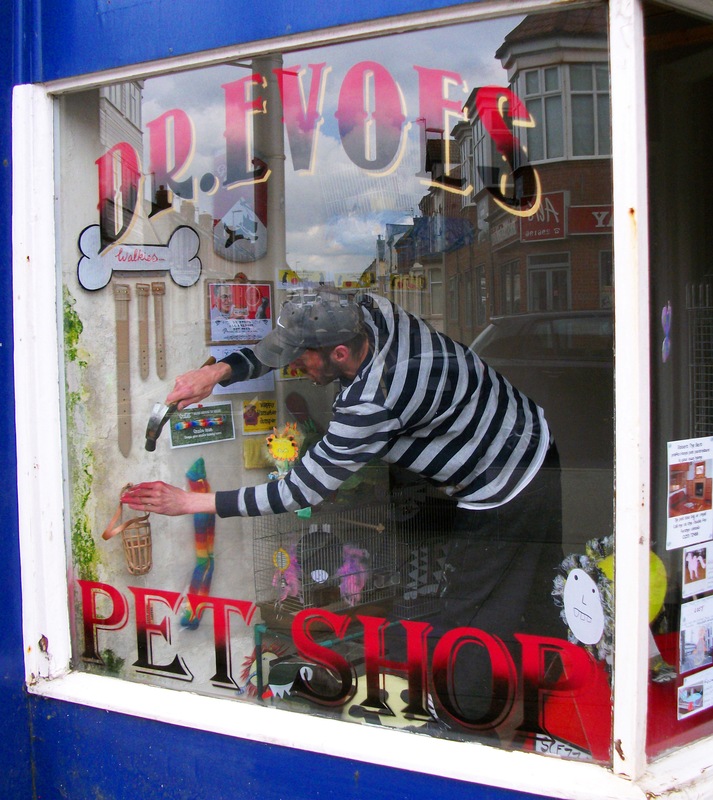 The shop sign ‘Dr Evoe’s Pets Shop’ on the window is sign written in a style that harks back to shops of the past. The items in the shop are based on vintage packaging and the animals and the other packaging aim to raise a smile. 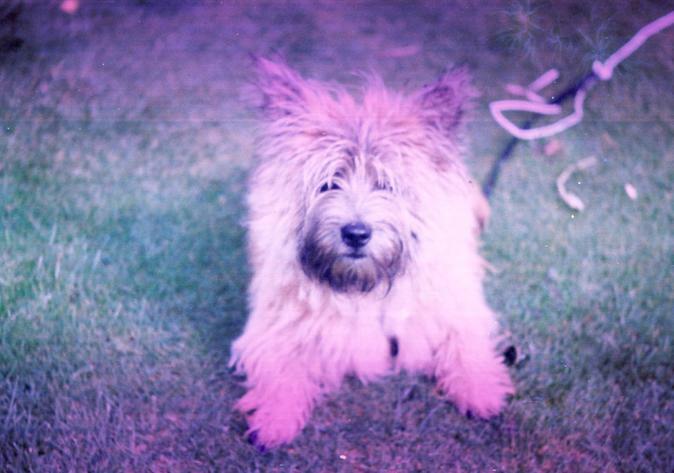 Dr Evoe’s Pet Shop will be exhibited as part of the Central Drive Culture Shops project until 16th June. Artist Brendan Bunting recently spent time interacting with the community around Central Drive and talking to and photographing local shoppers to make up this installation for the Central Drive Culture Shops project, a partnership between Blackpool Council’s Arts Service and Neighbourhoods Services, The Big Local Revoe-lution and CVS to bring three new rounds of artists displaying work over the spring / summer 2013. Brendan’s photographs inspired this series of figurative drawings that incorporate some of the quotes taken from conversations with members of the Central Drive community. “My artwork is inspired by not only the local community, but the resurgence of the high street. Thanks in part to the recent distrust in big chain supermarket brands, and people wanting fresh produce sourced locally, we have seen an increase in people buying their goods locally. Little Shoppers will be exhibited at 77-81 Central Drive until Tuesday 14 May. Would you like to take part in the ‘The Found Project’? Get Involved: Linzi is seeking your short stories or poems to interpret these pictures, the results of which will be used to build on the exhibition. Please feel free to write your own short story or poem and post it through the letterbox of the shop on Central Drive to be featured alongside the photographs. You can also email Linzi your story or poem to the email address below. “My artwork has predominantly been expressed in the medium of photography and explores daily life events and documenting my hometown Blackpool. From the start of my photography education my eyes were opened up to the world in a different light. I am able to look at the banal and every day with creativity and inspiration to complete projects. The main thread of portraits in my portfolio earned their places by having an interesting story behind them. I usually find that older generations have the most extraordinary stories and this is what I strive to capture in my photography. We are pleased to announce that Culture Shops is back this April! 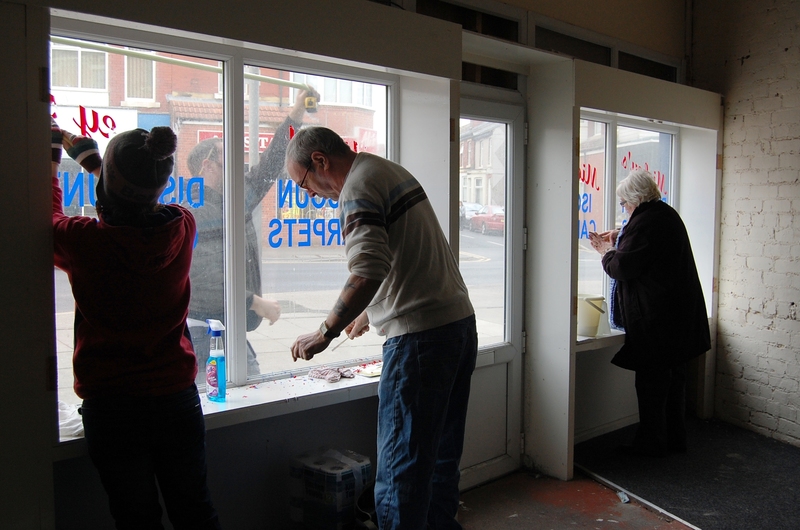 A new strand of the Culture Shops project sees Blackpool Art’s Service working in partnership with Blackpool Council’s Neighbourhood Services, The Big Local Revoe-lution and CVS to bring three new rounds of artists displaying work over the spring / summer for Culture Shops Central Drive. This week has been very busy as a small army of enthusiastic local volunteers have been working hard to make the spaces ready for the artists to install their artwork. A further development is that The Big Local Revoe-lution group will be turning 77 Central Drive into a Big Local Community Hub which will be manned by local volunteers. More information to follow soon. Round 1 artists are: Tom Ireland, Linzi Cason and Brendan Bunting and they were selected by a panel made up from local community representatives. You will be able to see their work on display from Wednesday 17 April for four weeks at 77-81 Central Drive. Round 2 artists are: Aunty Social, Boz Phillips and Lisa Wigham whose work will be on display from Saturday 18 May – Sun 16 June. Round 3 artists are Laura Brennan, Alchemy (Gold Arts Award) and The Langdale photography Group. Their work will be on display from Thursday 20th June – Wed 17th July. More information about the artists who will be displaying their work will follow over the forthcoming weeks. 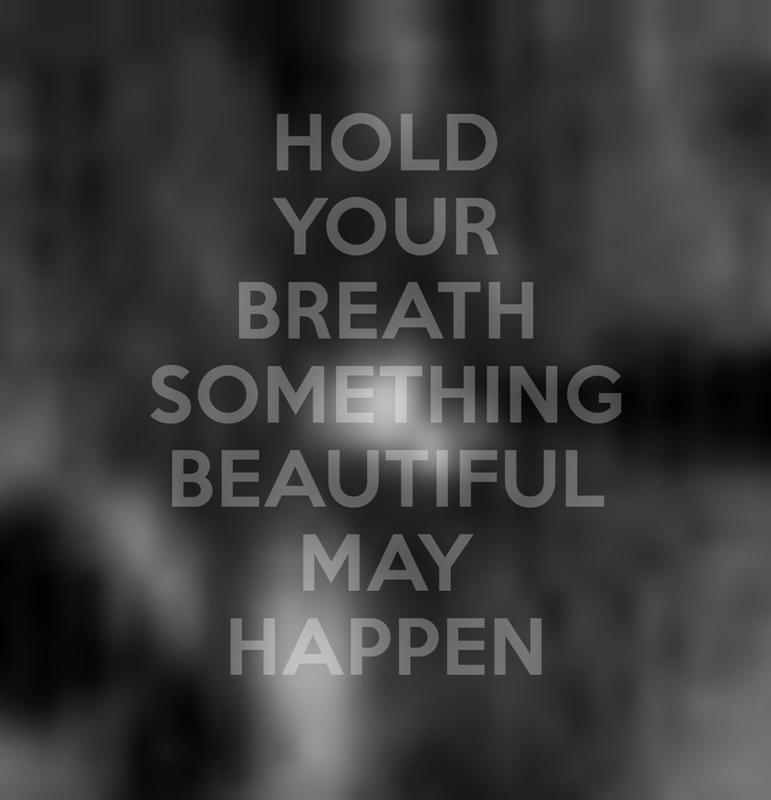 Supercollider is pleased to announce Waiting For The Main Event; an exhibition of new works by Catherine Payton. Waiting For The Main Event is an exhibition in limbo. Confronted initially by the characters of Payton’s films (all played by the artist), viewers enter a space in which they may find themselves feeling excluded from ‘the action’. Curtains and drapery play a crucial role in developing a further sense of anticipation understood within a common trope of theatre and film, not to mention comedy: anyone visiting the gallery toilet and then re-entering the space may feel like Tommy Cooper taking three minutes to find his way to the front of the curtain, or Eric Morecambe looking for the key to get back behind it. 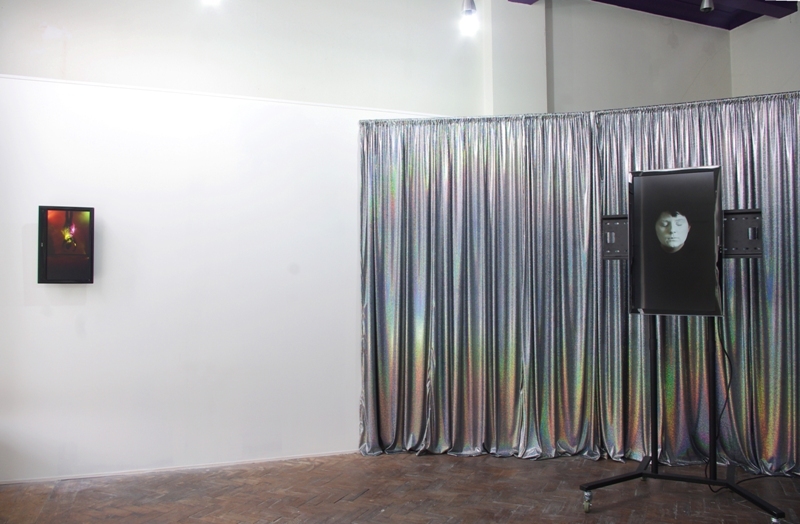 The material is also suggestive of the public seance or a Medium’s stage backdrop – recurrent themes in Payton’s work – akin to the curtain that concealed one of the greatest charlatans, the Wizard of Oz: the emerald green satin being pulled aside by Toto to reveal the masterly trick. Each film aims to form an ‘almost’ portrait, with the characters performing shaky tableaux vivants, occupying emotional spaces that swing between anticipation and boredom. References to theatre, literature, films, the occult, and the comedic all permeate Payton’s work, but give way to an overarching paradox or loop – the pairing of a willing suspension of disbelief and a self-confessed charlatanism. The works leave us wanting to suspend disbelief, to be drawn into the implausible reality infront of us, whilst Payton’s conscientious amateurism reveals the trick to us repeatedly, acknowledging and referring to the construction of that reality. It is this cognitive dissonance that gives the work it’s lasting hold. Waiting For The Main Event will coincide with Showzam! ; Blackpool’s annual festival of circus, magic and new variety which will take place between 15 – 24 February 2013 at sites across the town as well as the annual Blackpool Magic Convention; the worlds largest magic convention which will take place from Friday 22nd through until Sunday 24th February 2013. Both of these events provide a fitting context within which to consider Payton’s ongoing investigations. The exhibition is on now until 02 March 2013 at Supercollider Contemporary Art Projects, 59 Cookson Street.